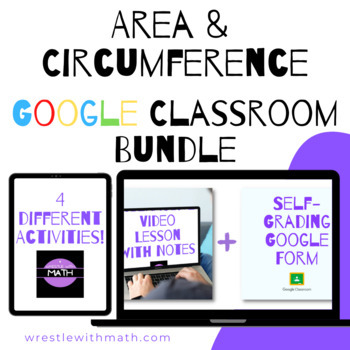 Area & Circumference Google Form Bundle – Perfect for Google Classroom! Click here to watch the preview video! This Google Form bundle includes 4 individual products on area & circumference. I use these forms as part of my grade area & circumference unit. This bundle is perfect for teachers using Google Classroom. Area of Circles – Two Breakout Activities! 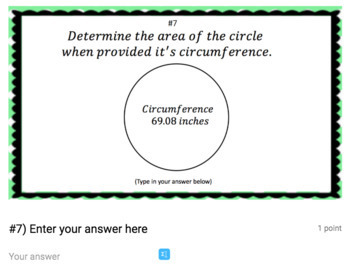 Circumference of Circles – Two Breakout Activities! Area & Circumference Mini Breakout Bundle – Perfect for Google Classroom! 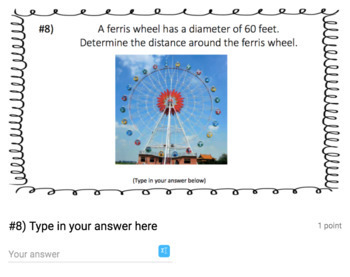 (1) Google form containing a variety of practice problems. 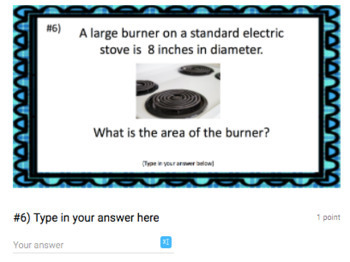 Each form may be used as a practice resource, assessment or collaborative learning tool. Check out these additional products from Wrestle with Math!